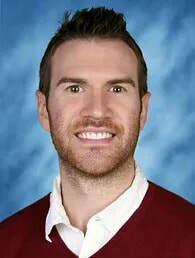 Mike Devlin - STEER FOR STUDENT ATHLETES INC.
Mike teaches and coaches in the Yonkers Public Schools, at Scholastic Academy and Palisade Prep, respectively. He is currently in his sixth year teaching in Yonkers. Mike also taught in the Bronx for one year. Throughout his seven years in education, he has coached football and baseball at the modified and varsity levels. The youngest of a family of four, Mike was always involved in the community. He started playing organized sports by first grade and continued through high school. During that time, Mike played organized baseball, football, soccer, basketball, and hockey. He represented Irvington High School in football and baseball at the varsity levels during his time as a student athlete there. He also served as a Peer Leader and as a member of the Anti-Defamation League at IHS. After high school, Mike studied at the University of Wisconsin-Madison, where he achieved degrees in History and Political Science. He earned his Master's in Education from Pace University after that. Mike is excited to support STEER and the student athletes at Palisade Prep. He firmly believes that a shared commitment to maximizing student athletes' potential will undoubtedly help everyone involved reach new levels. He is excited to be a part of a lifelong journey alongside STEER student athletes.